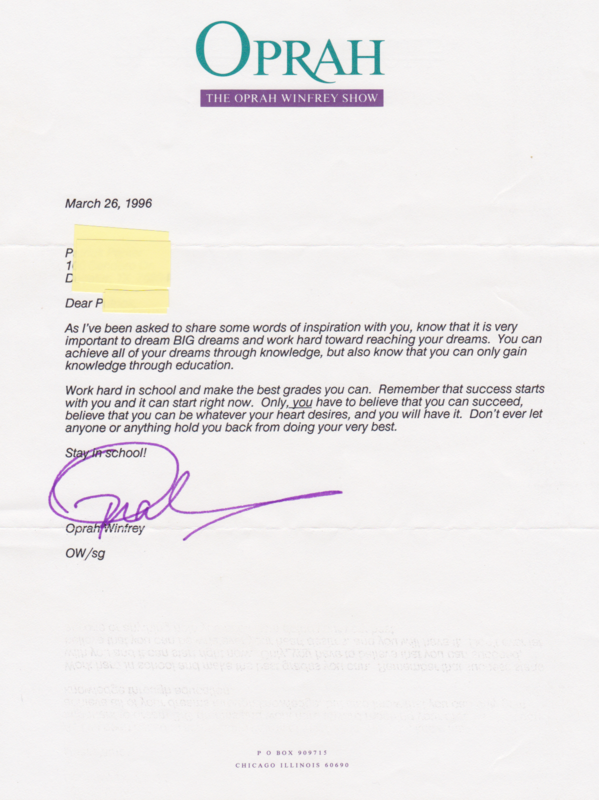 Once when I was a 15-year-old high school freshman living my small town life I hand wrote Oprah Winfrey a letter expressing my appreciation for her work and also expressing my angst about life and my future. She replied with a letter encouraging me to stay in school and dream BIG. (Click on the photo above to enlarge.) In my small town life the concept of form letters and signature stamps didn't exist, which means I felt like Oprah wrote the letter to me specifically. I was on top of the world when I received that letter in the mail. It was a great day. I spent the entire summer writing Oprah letters. I never received another reply. 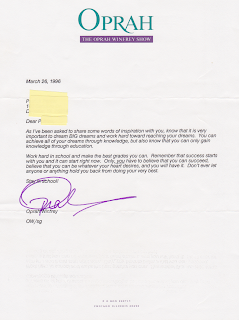 I was 16 when school started again and my obsession with making Oprah my pen pal eased. But when I was having a tough day, as all teenagers do from time to time, I would find that letter and read it to myself. Reading that letter always made me feel on top of the world.